Step out in style with this gorgeous frock from the house of Zero. 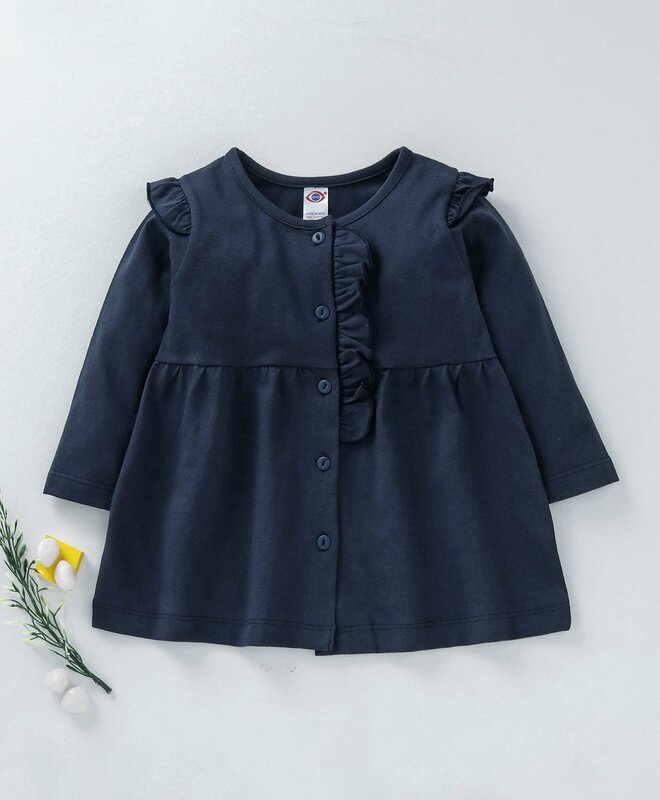 Classy solid colour of the frock with slight ruffle detailing will lend a stylish look to your little girl. This front open frock will keep your girl trendy and comfortable all day.